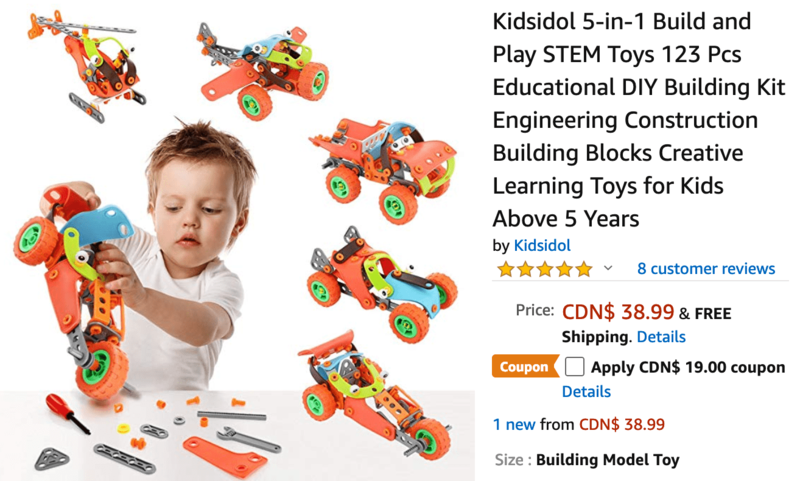 Get Kidsidol 5-in-1 Build and Play STEM Toys 123 Pcs Educational DIY Building Kit Engineering Construction Building Blocks Creative Learning Toys for Kids Above 5 Years, today for $19.99 (When you apply $19.00 off Coupon), list price $38.99, save $19.00 – 49% off. 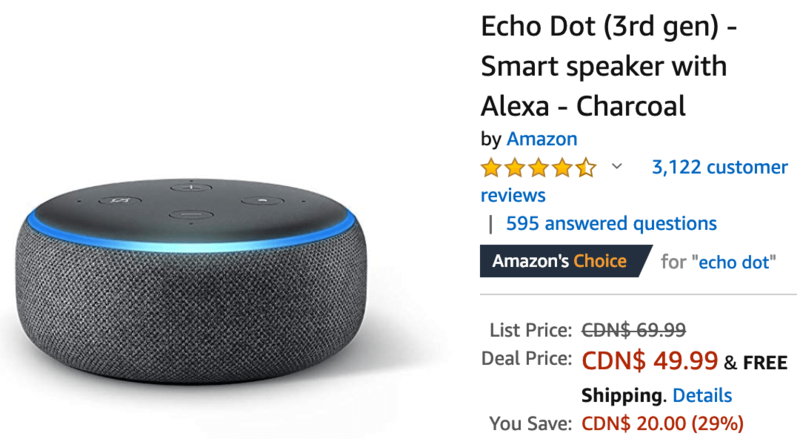 Get Echo Dot (3rd gen) – Smart speaker with Alexa – Charcoal, today for $49.99, list price $69.99, save $20.00 – 29% off. Get Echo (2nd Generation) – Smart speaker with Alexa – Charcoal Fabric, today for $99.99, list price $129.99, save $30.00 – 23% off. Get Echo Plus (2nd gen) – Premium sound with built-in smart home hub – Charcoal, today for $159.99, list price $199.99, save $40.00 – 20% off.